Mahindra & Mahindra Ltd (M&M) is well known automobile company for its strength, durability, Off road driving, and for its SUV’s. Previous vehicles under this brand name are successful in their segment like Scorpio, Bolero, Thar, Armada, Marshal etc. 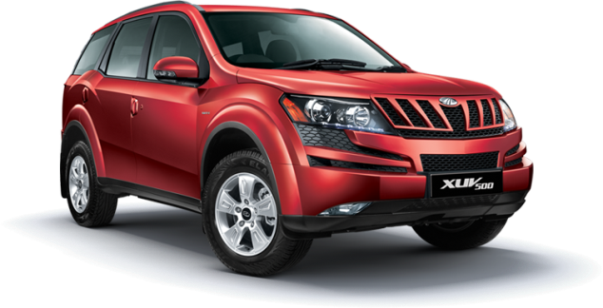 but its latest release Mahindra XUV500 have shocked the market. The unexpected high booking of this SUV had made it a real tough competitor. As the booking started, 8000 units were been booked in 10 days and so the booking was shut off for few months n then again in end of January ’12 the booking started and yes the result was same. Mahindra XUV500 is equipped with 2.2litre mHawk diesel engine which delivers a power-packed 140bhp with 330Nm torque. 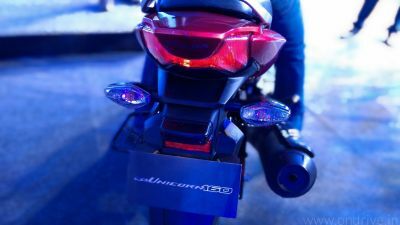 The 2.2litre engine is meshed with a 6-speed transmission and the 5th generation Variable Geometry Turbocharger which takes the XUV5OO from 0-60kmph in a mere 5.4 seconds. The XUV500 gives you up to 15.1 kms per litre. XUV500 comes with next generation technology, the 5-inch LCD touchscreen really grab your attention when you sit inside the car. 6 speeds.It has DVD player, CD/MP3, FM, Bluesense technology, full i-pod connectivity and 6 speakers. The XUV5OO boasts of a fully loaded GPS navigation system, which covers over 1.5 million kilometers of road across 1200 cities with a turn-by-turn voice guidance system in eight regional languages. The system also gives the driver access to over 5 million touch points of interest including restaurants, ATMs, fuel pumps and movie theatres. The new Driver information System continuously giving you reports with all vital information about the cars such as how far the existing amount of fuel can take you, monitors air pressure and temperature of each tyres and even controls the cabin temperature for you. The intellipark reverse park assist system has a visual prompt on the LCD screen which shows you the distance between the rear bumper and any object behind your vehicle. XUV500 small steering wheel equipped with many interesting features like Voice Commands, Cruise and Audio Controls and control the infotainment(Music System) system with Voice Commands. The Blue Sense Technology inside the car allow you to control your Bluetooth-enabled mobile phone. You can access your phonebook as well as make and receive calls. The Cruise Control system main the speed of car at present level using steering wheel controls, you can increase or decrease the speed without having to use the accelerator. Smart Rain and Light Sensors in the XUV500 automatically activate wipers and headlamps whenever external condition changed. The XUV500 provide excellent safety to drivers and passengers. It comes with 6 Airbags, ABS with Electronic Brakeforce Distribution (EBD), Hill Hold Control & Hill Descent control. At present 5 variants of XUV500 is available. In it 4X2 and 4X4 variant is available along with a variant of Automatic transmission. Manufacturing of XUV is been carried out at the plant based at Chakan, Pune. XUV500 has been tested over 2.35 kms, with over 250 prototypes being built. The company expects to sell 2000 units of the XUV500 every month. Conceptualized with the aim of creating an altogether new category between the Scorpio and high end SUVs, the XUV500 is the next generation SUV. The XUV500 available in Seven attractive shades.